Add a touch of freshness to your child's nursery or playroom. Enjoy this round stools that are painted wood in a colourful matte finish that will coordinate with your colours. This is an ideal place for tea parties, craft time, board games, and endless other activities. Anti slip: Reducing rubbing floor and anti slip with the felt mat on each leg bottom. Easy to care: Wipe this chair with a clean and damp cloth to retain its original appearance. 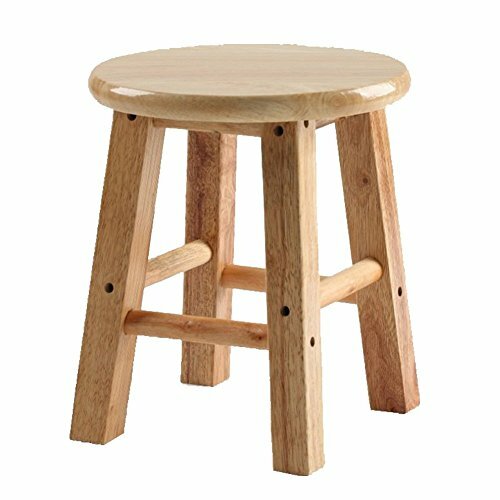 Multi-using:Wood kids stools is perfect for kid's rooms, family rooms, and playrooms for tea parties, craft time, board games, and endless other activities. If you have any questions about this product by Sigmat, contact us by completing and submitting the form below. If you are looking for a specif part number, please include it with your message. Kids Chairs, 2 Durable Plastic Toddler Chair Seats, USA.